Your-Nova-Scotia-Holiday.com is my way of sharing Nova Scotia with the world. I am from a small Nova Scotia town and I grew up 10 minutes from the Atlantic Ocean. This was special, very special! Of course, I did not realize this when I was growing up. I even moved away from my ocean paradise. I guess I realized that I needed to leave Nova Scotia first before I could start to love it. Well, over the last 20 years this is just what I have done!! I have come to love my Nova Scotia home. I have visited almost every corner of the province and am always in awe of what I find. I have often wondered what I would list as my favorite places in Nova Scotia or my favorite things to do. I now have the chance to do this and to share it with you. 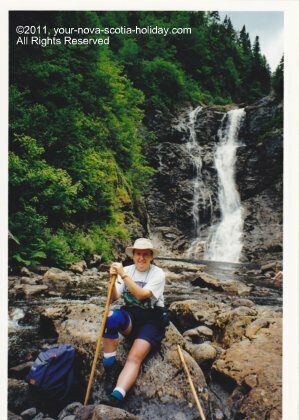 This is me after hiking to North River Falls in Cape Breton. North River Falls is located on the Cabot Trail and they are the highest waterfalls in Nova Scotia. 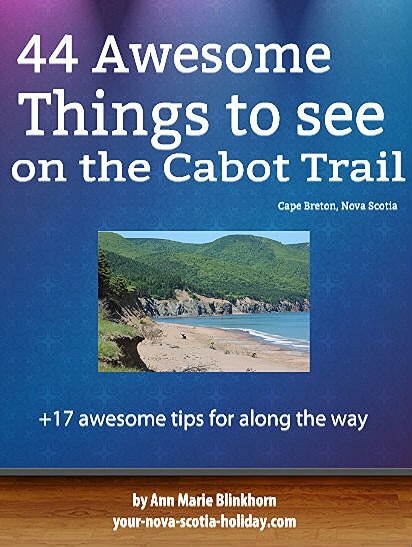 The hike is about 7-hours long and it takes you into the sourthern part of the Cape Breton Highlands. I finally decided to write about it so I can share everything that I know and love about Nova Scotia with you! My goal is simple! 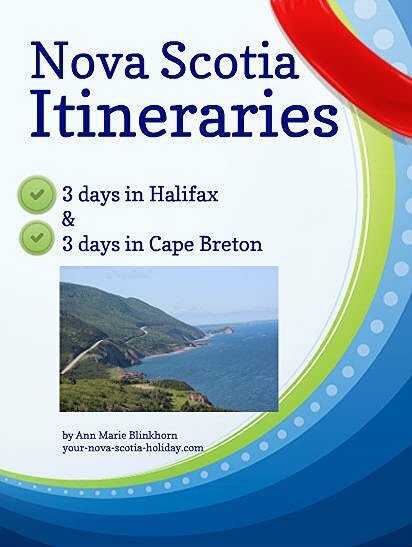 To help make your Nova Scotia vacation the best ever! Actually, there are 2 goals! I want you to come back and tell me about your vacation so you can have your very own page right here!! That's right.....you can be a part of Your-Nova-Scotia-Holiday.com. Let's return to my homepage and get started! !